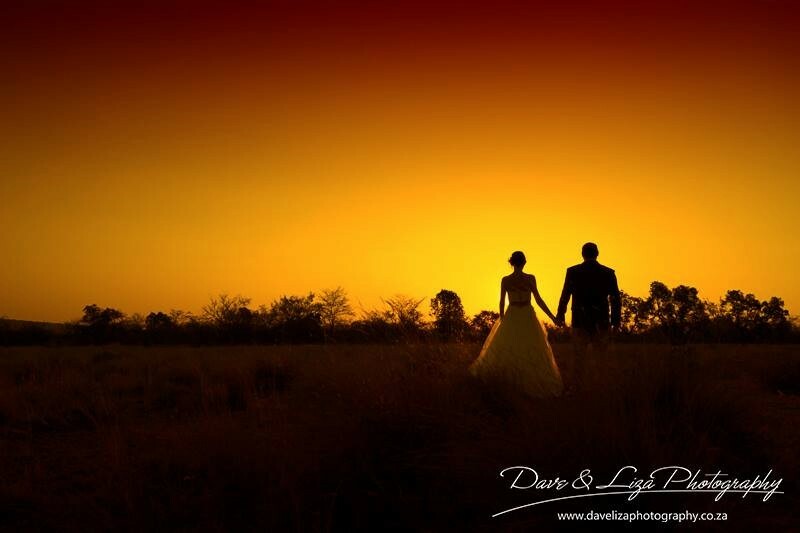 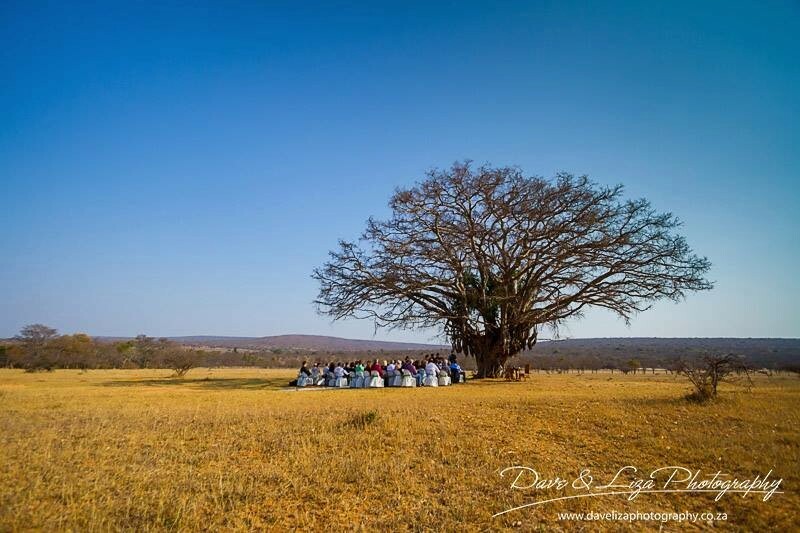 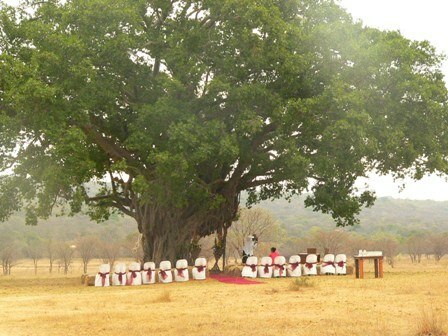 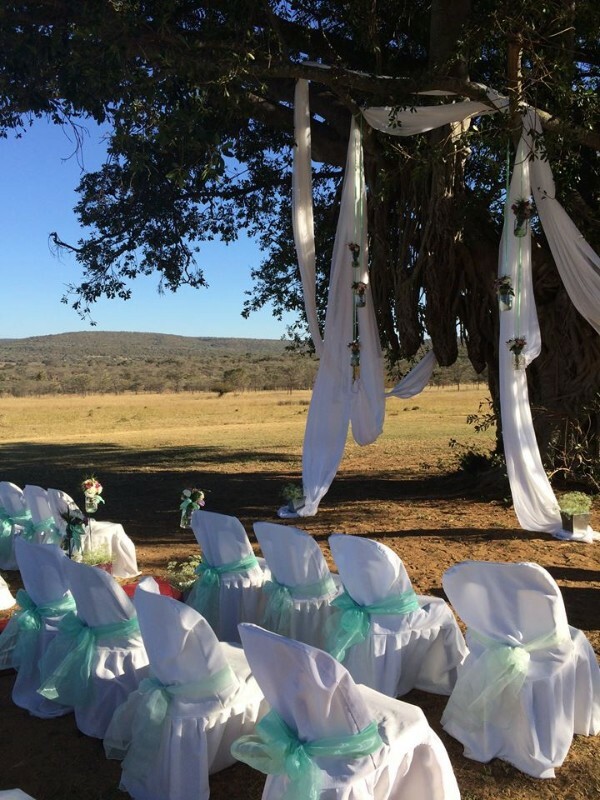 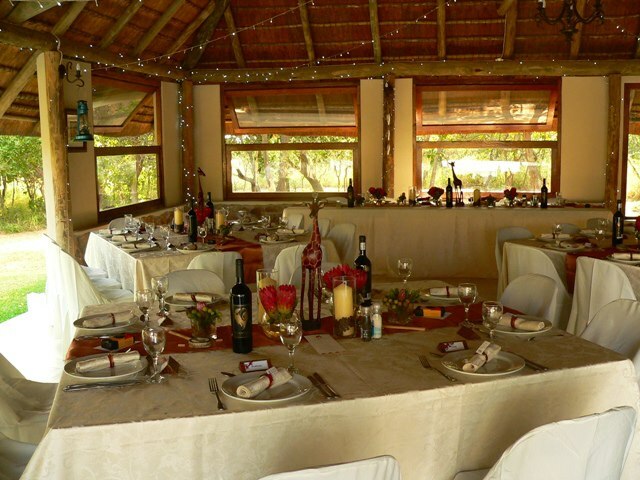 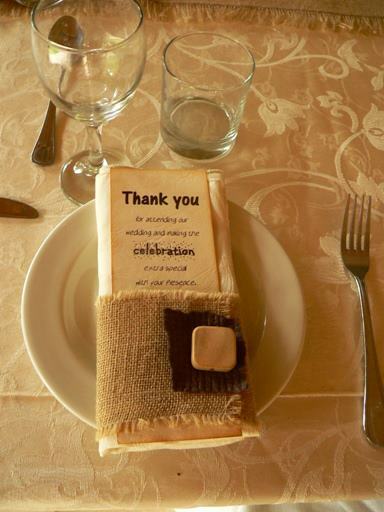 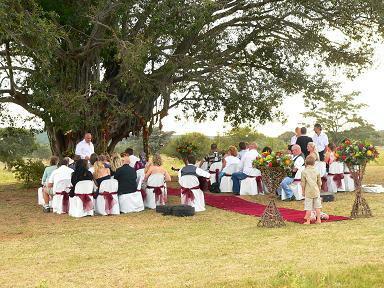 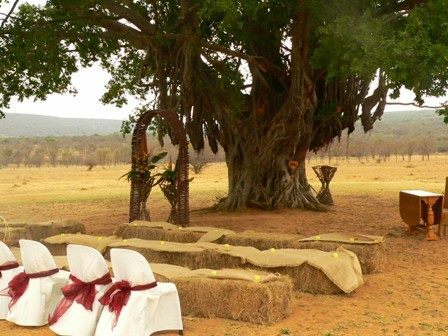 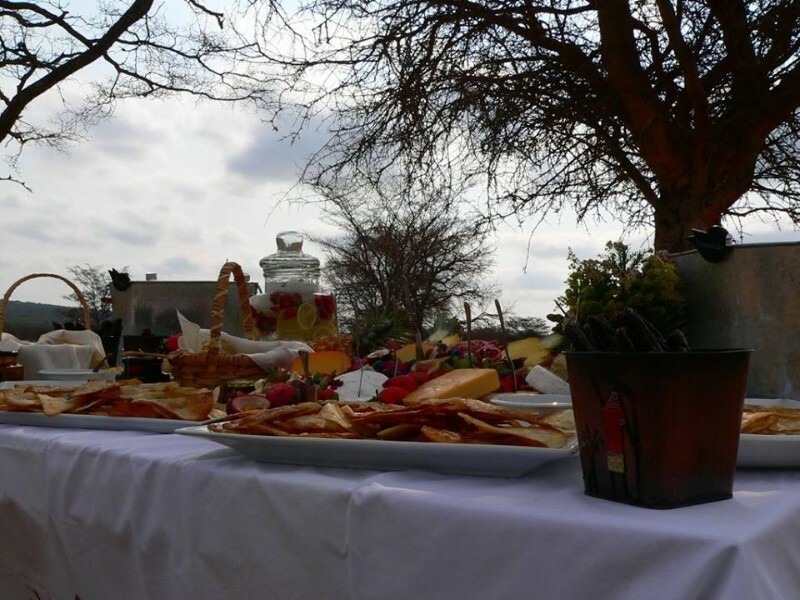 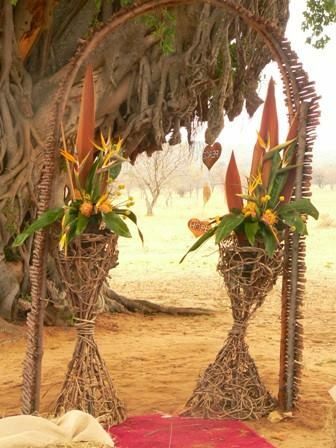 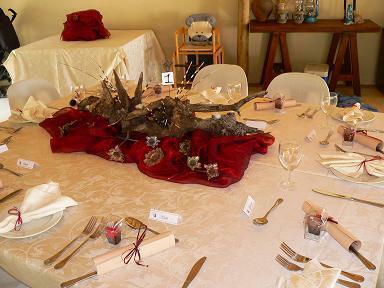 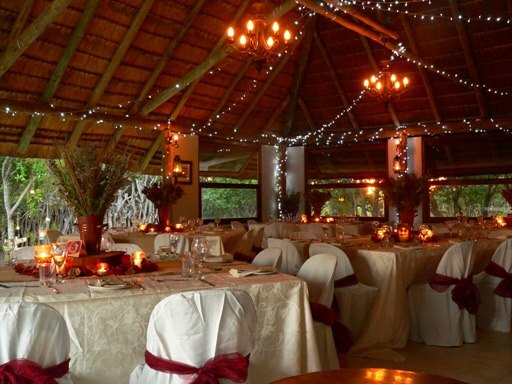 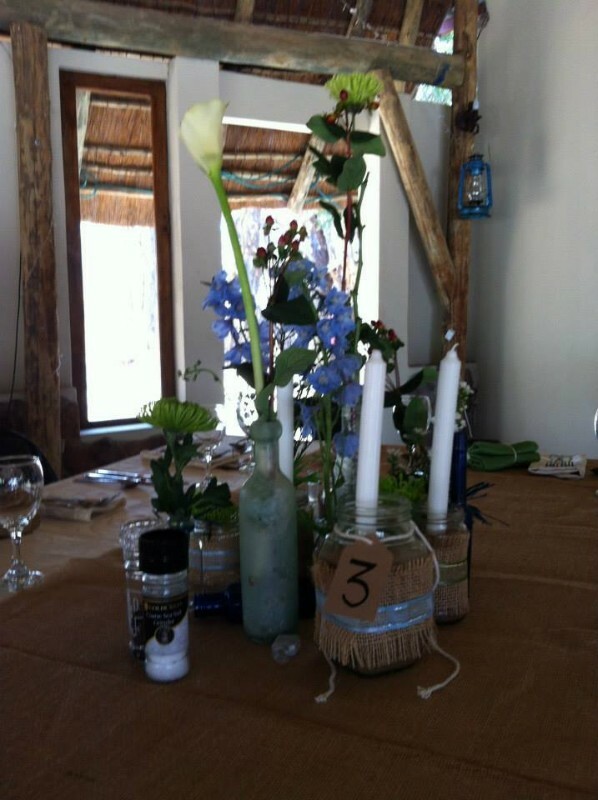 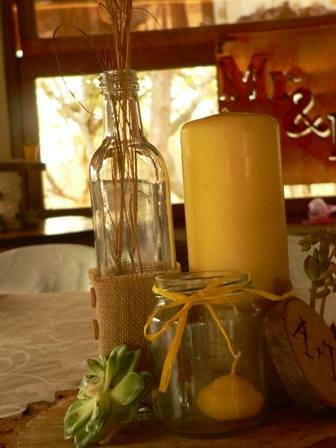 Just 290 km north of OR Tambo International Airport, close to the small town of Vaalwater, the 1200 hectare malaria-free game farm is ideal for friend or family get-togethers and reunions, birthday parties and anniversaries, small conferences, intimate weddings, and romantic bush getaways. 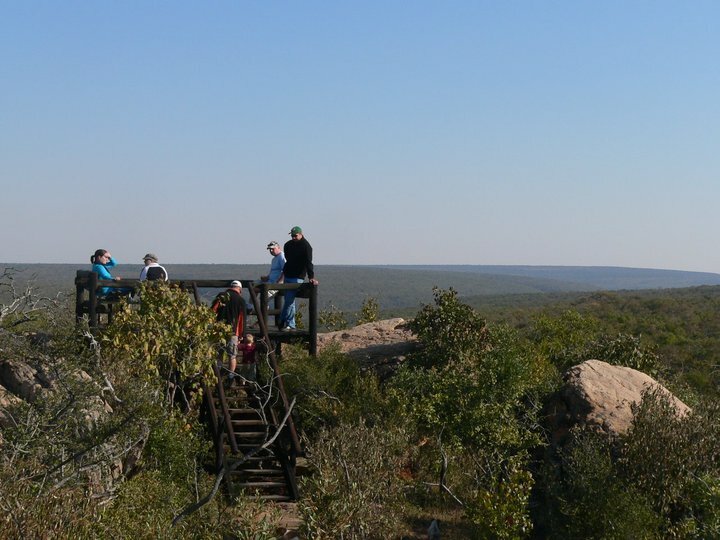 The Waterberg area is a bird lover’s paradise, with over 200 species of birds found in the area, where you are bound to spot numerous bird varieties. 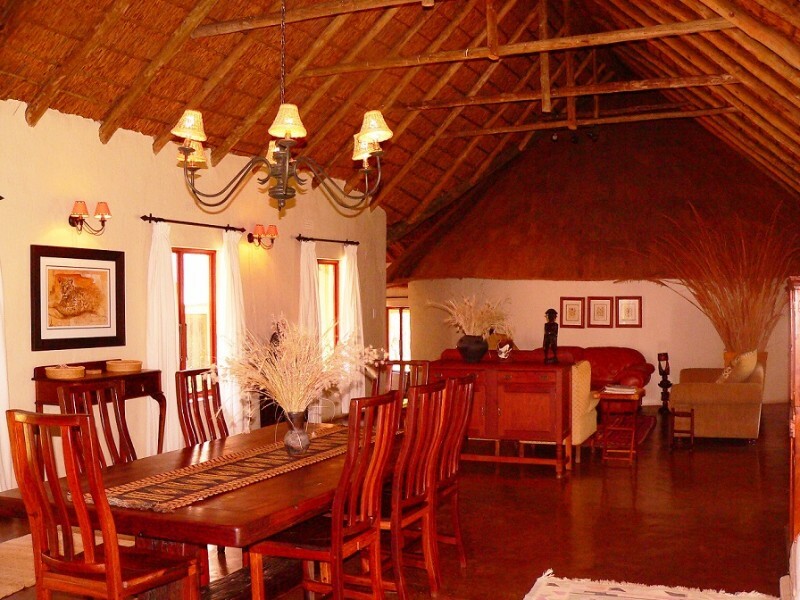 This private lodge sleeps 17 people in 5 very large bedrooms. 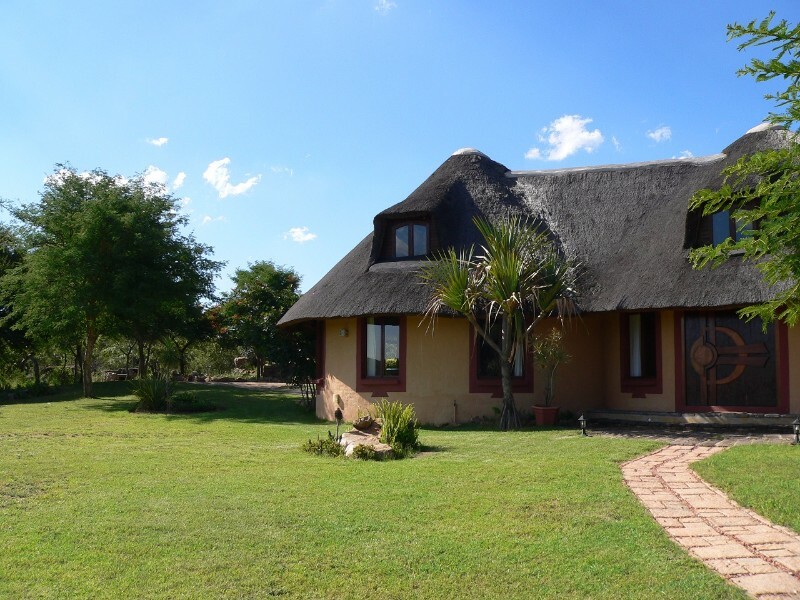 Three bedrooms are downstairs all with king sized beds and ensuite with full bathrooms. 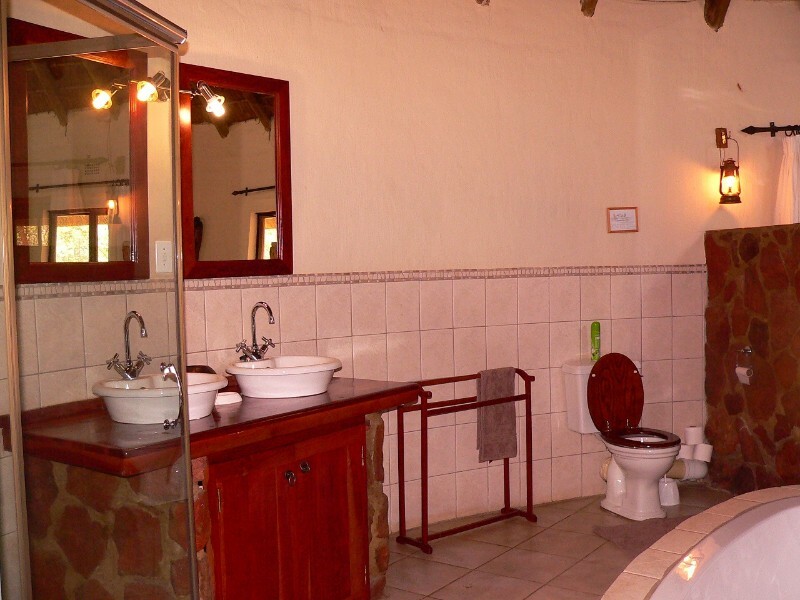 There are 2 bedrooms upstairs that share a bathroom with a shower only. 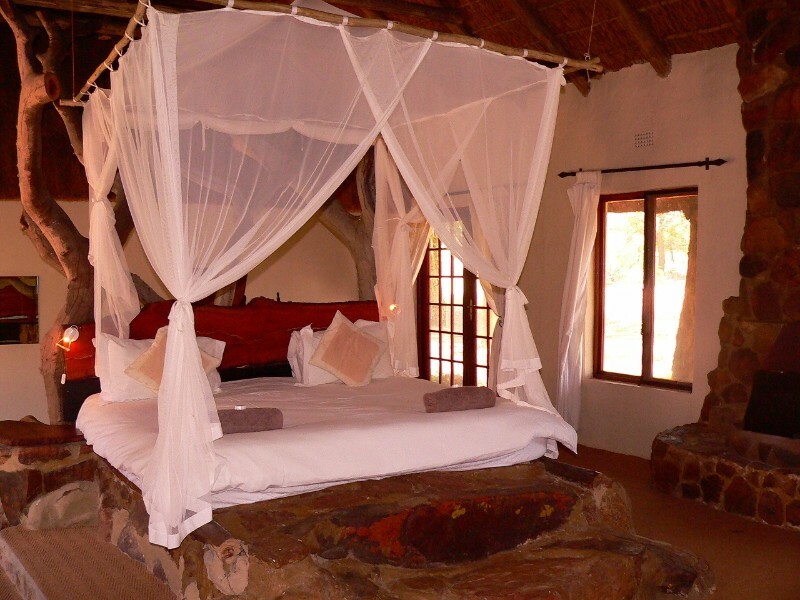 One bedroom has 4 single beds the other has a double bed and 1 single bed. 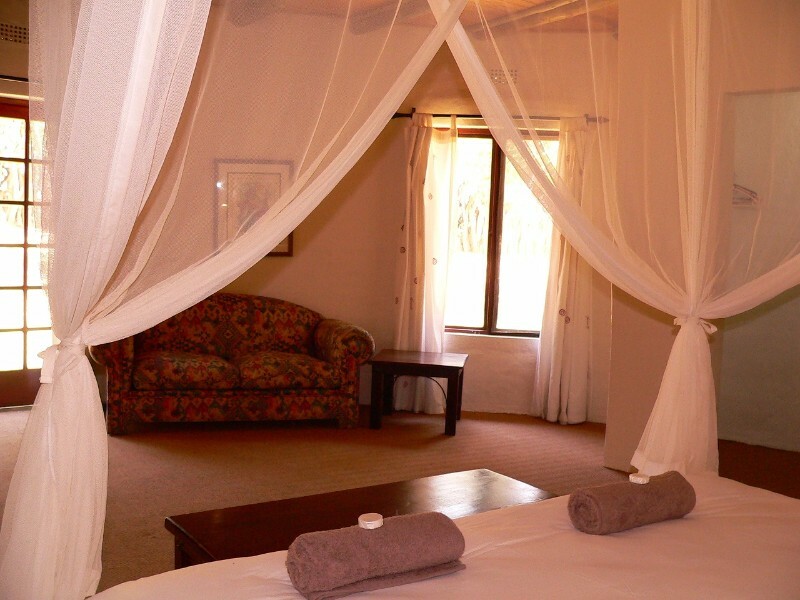 There is also a ‘loft’ room upstairs with another 4 single beds. 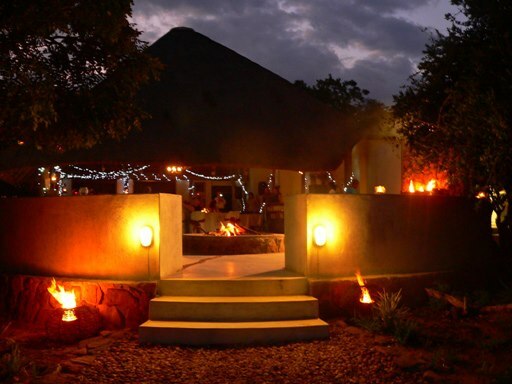 The key elements for a great family holiday are excellent weather, clean, comfortable accommodation to suit your budget, a safe and stimulating environment for you and your kids, easy access for stress-free self-drives and, of course, a malaria-free reserve, all of which can be found at Izintaba. 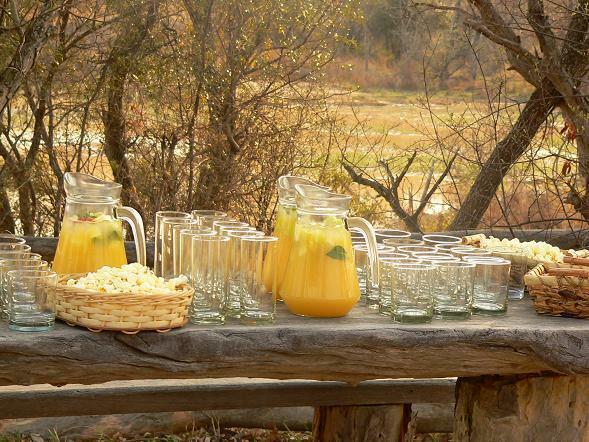 Izintaba is the perfect destination for a family bush holiday as we accept children of all ages, and children can partake in all activities either with you as a family or on a special kiddies encounter, leaving you as parents, or grandparents, a few well deserved quiet hours on your own. 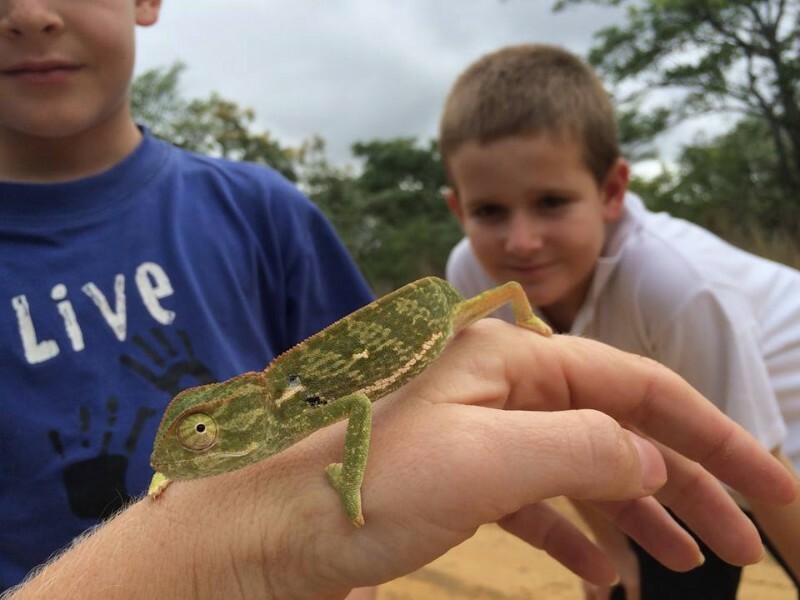 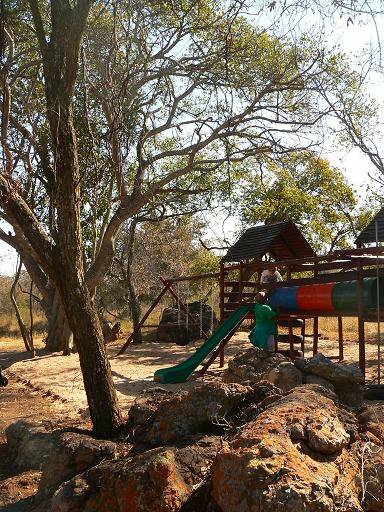 Apart from the usual facilities for kids, such as the jungle gym and swimming pool, Izintaba is the perfect place for kids to have an up close and personal bush experience. 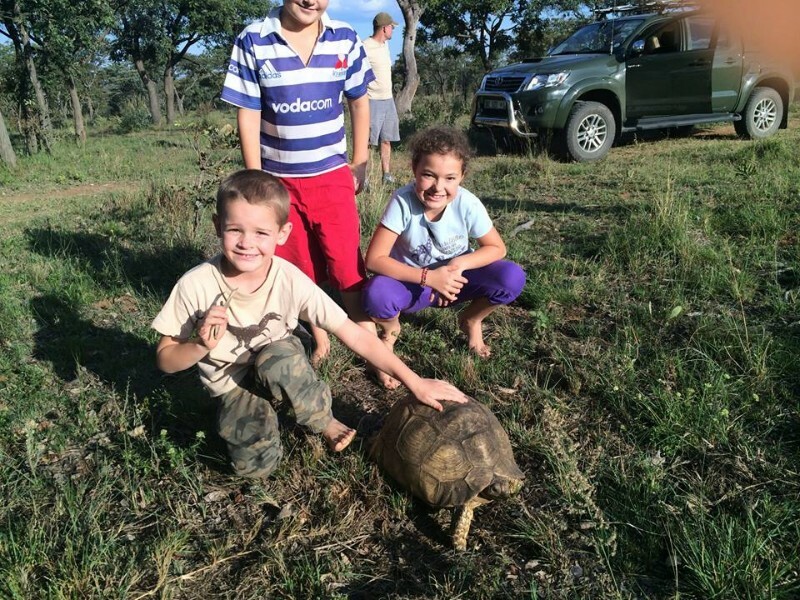 Because there are no dangerous animals, it is perfectly safe for you to explore the farm on foot with your children, discovering new bugs or tracking a wildebeest or Giraffe down a game path. 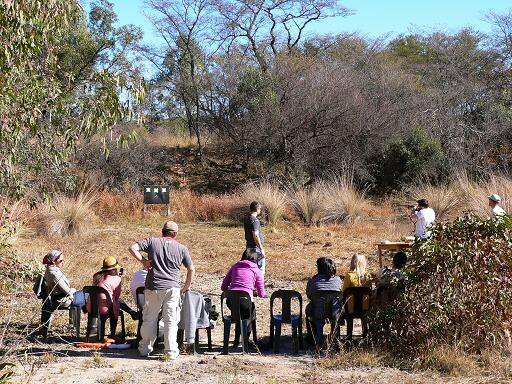 You can also join our qualified guide to learn about the ‘toilet paper tree’ or have a ‘bok-drol-spoeg’, buck poo spitting, competition or make a bow and arrow the traditional way. 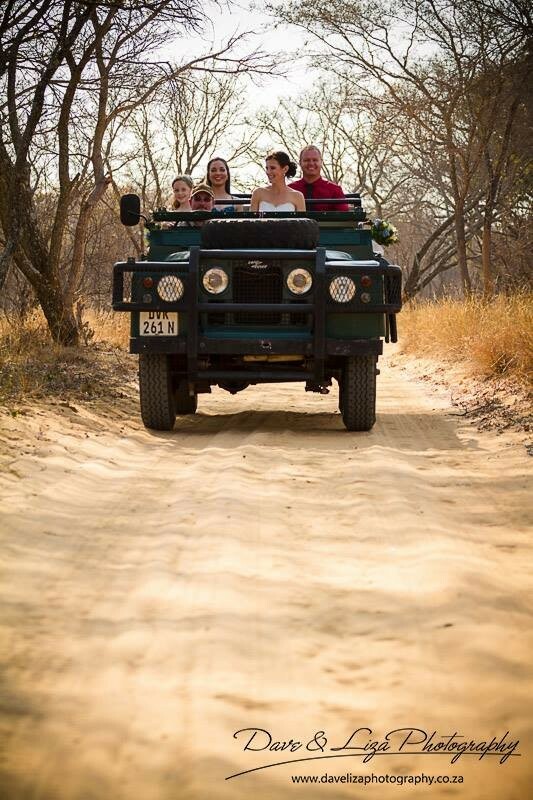 Game drives are also always very popular and can be enjoyed either in your own vehicle or with our guide on an open 4×4. 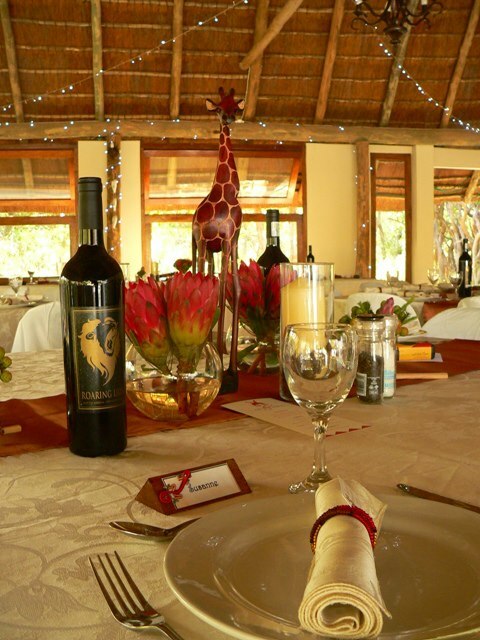 And because holidays are also about parents recharging their batteries, you can choose to enjoy some or all of your meals with us in the dining room, at affordable family rates. 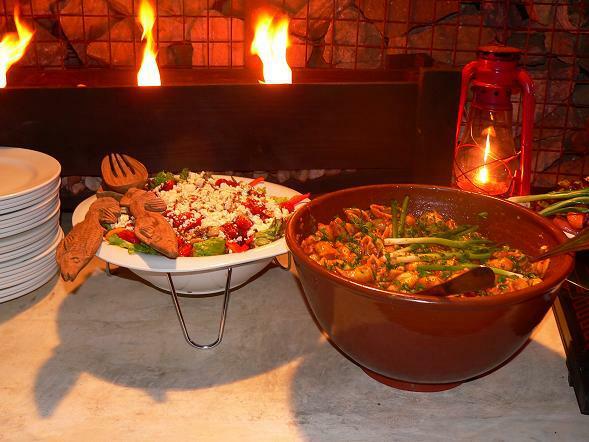 This takes the hassle out of deciding what to eat and cooking, giving you more quality time to spend together as a family. 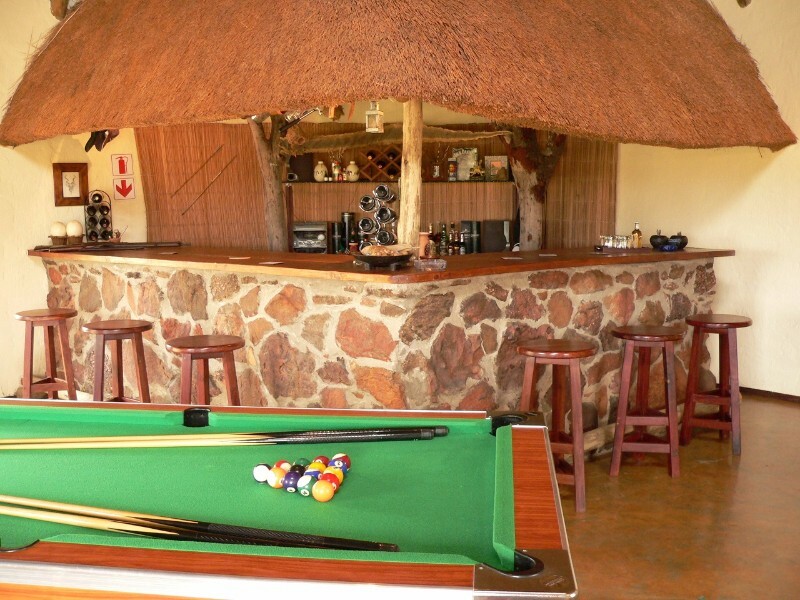 Izintaba Lodge has its own private swimming pool at the lapa and braai area, a bar with a pool table as well as a catering sized kitchen, making it perfect for big group get-togethers. 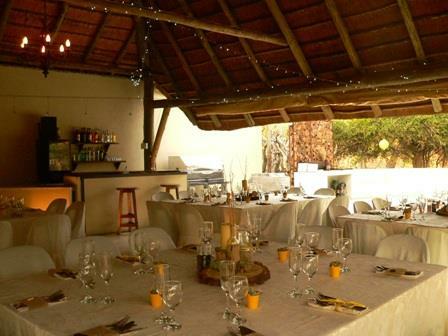 With our functions venue and accommodation all on the same property, we provide the ideal setting for that work function, birthday party, family reunion or any special event, taking the hassle out of driving anywhere after your function while at the same time enjoying a well-deserved break from the city life. 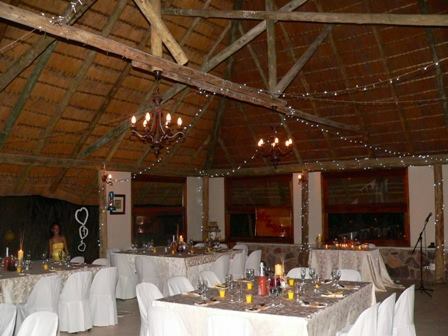 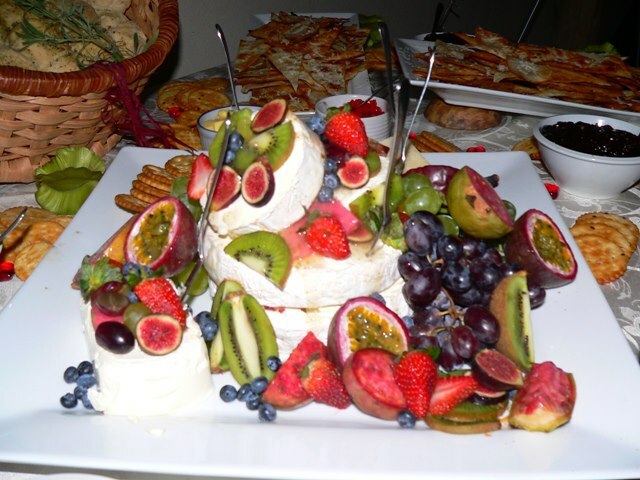 We can accommodate a total of 46 guests/ delegates overnight on a self-catering or catered basis. 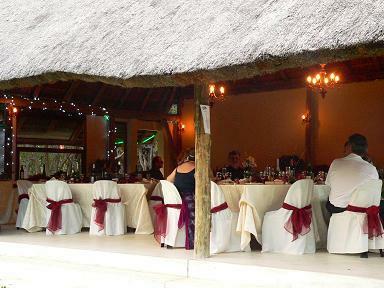 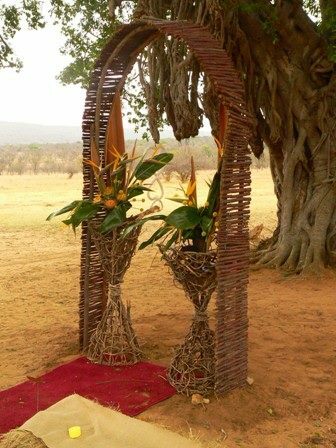 At Izintaba, we do not charge for the use of our thatched functions venue and boma, equipment and facilities, only for the accommodation. 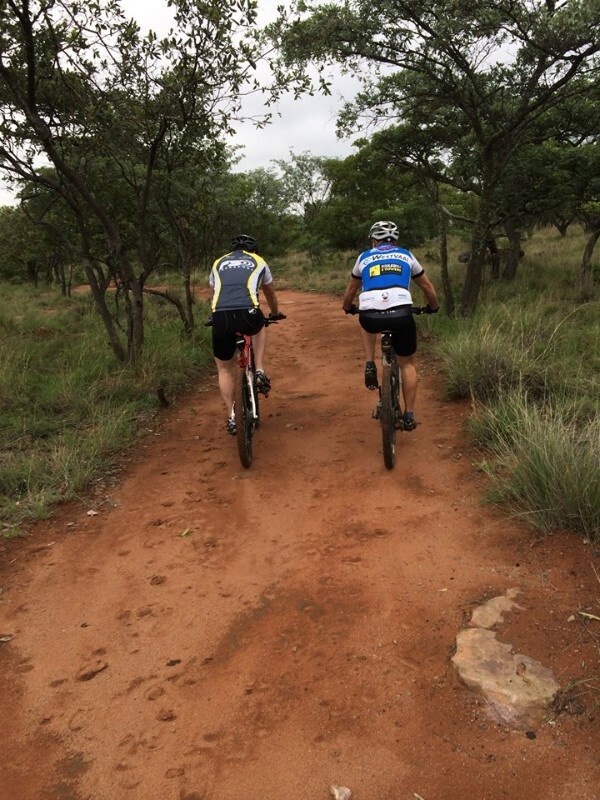 A good network of farm roads enables the cyclist to enjoy riding in the bush. 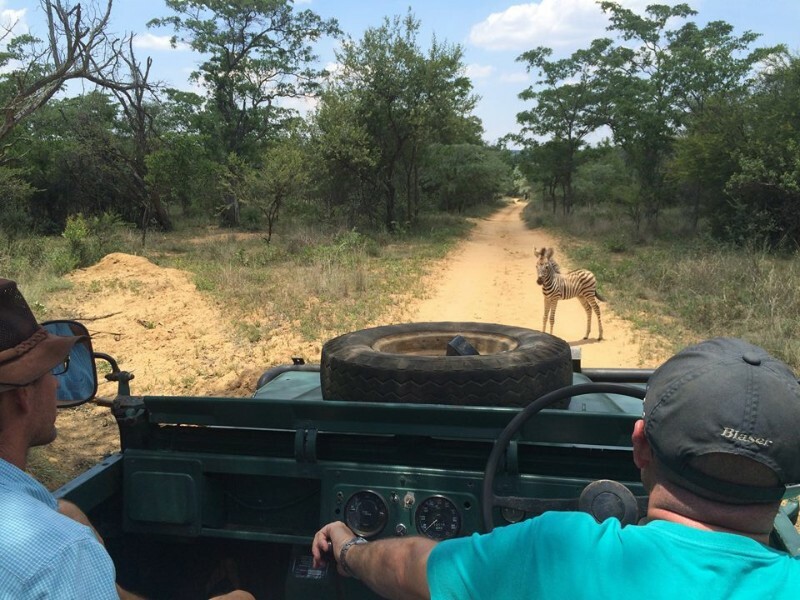 Tracks are either smooth or 4×4. 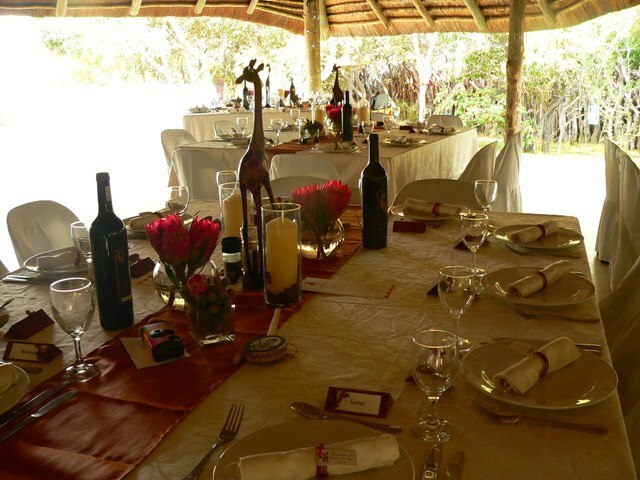 There is always the possibility of coming face to face with a Zebra or a Giraffe around the next corner! 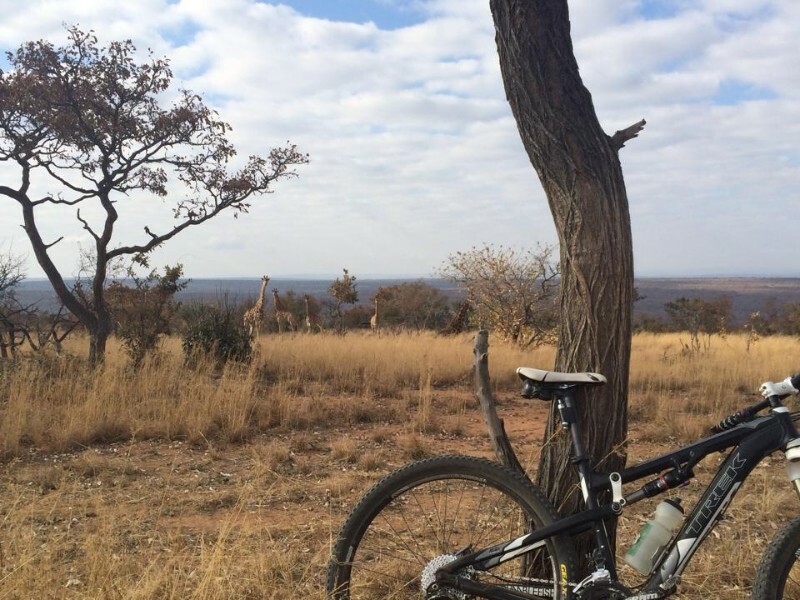 Alternatively, the public roads outside the farm have very little traffic and offer longer scenic rides. 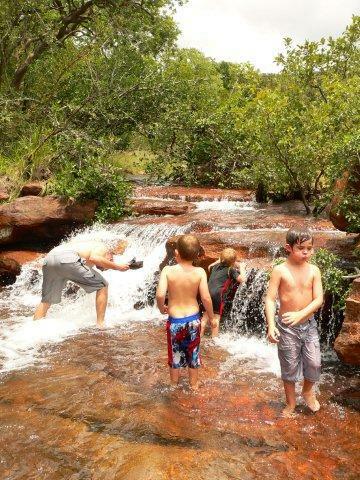 Izintaba offers a diversity of habitats from open plains to rocky kloofs, to dams and seasonal rivers. 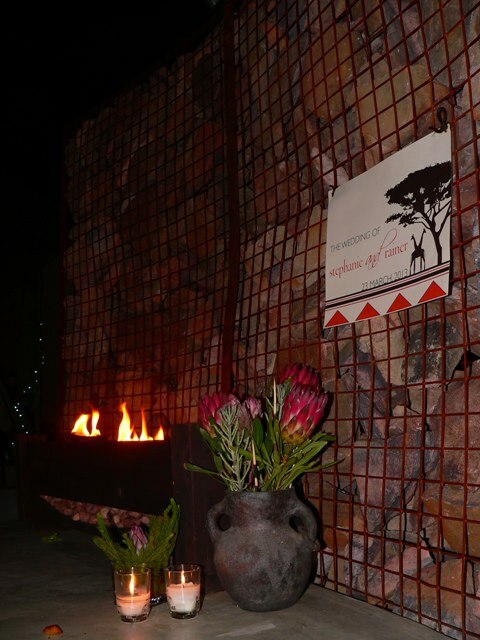 This enables it to support a wide selection of wildlife. 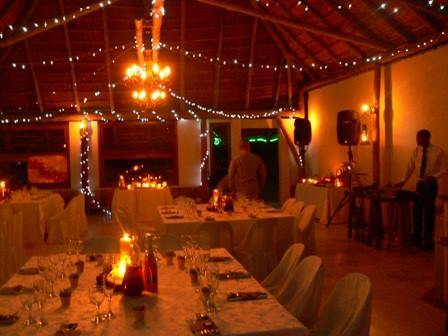 Guests are able to drive in their own cars on the farm roads to look for game. 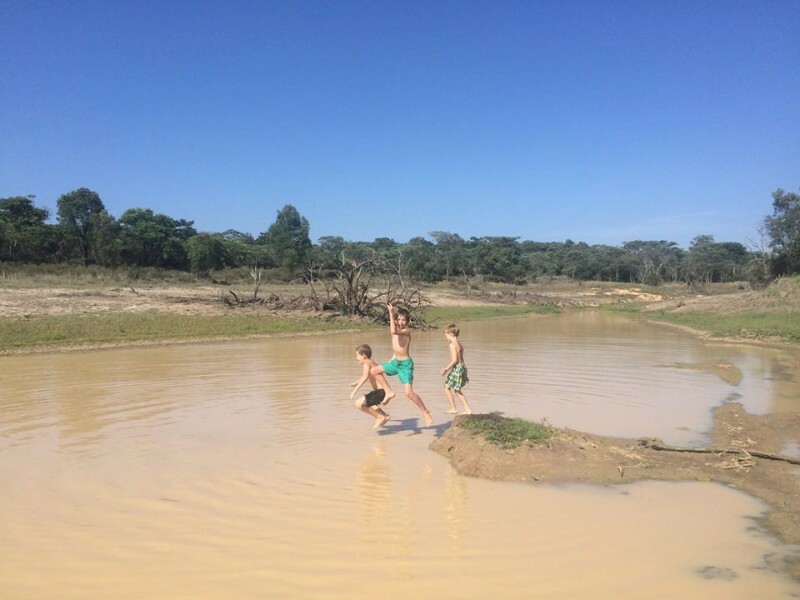 Most roads are suitable for sedan cars and only a few require 4×4. 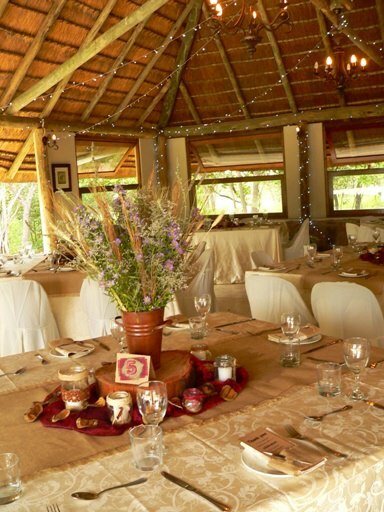 A map of the farm is provided on arrival. 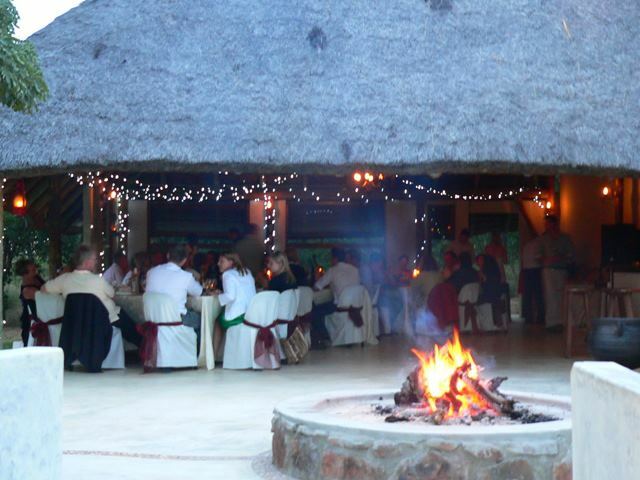 Alternatively, we do also offer guided game drives on an open landrover with a qualified guide. 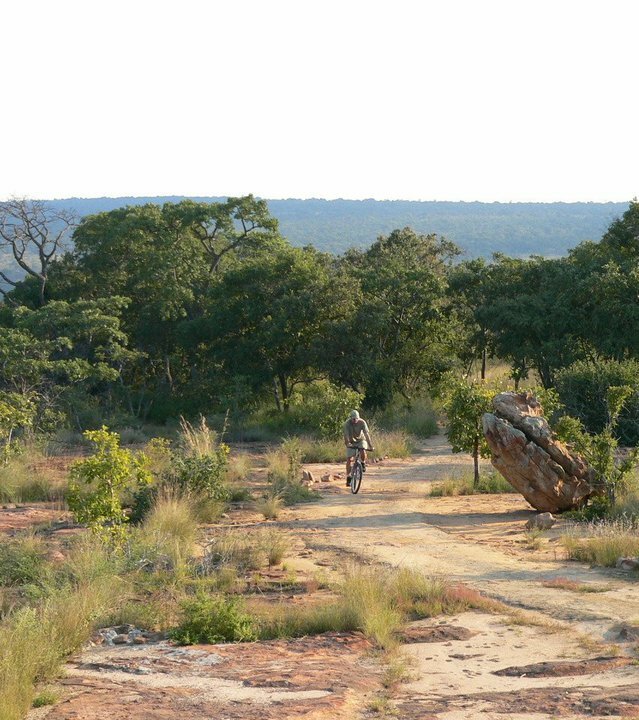 Izintaba supports a wide range of fauna and flora, and because we do not have any dangerous game, the best way to take it all in and enjoy the beautiful scenery is on foot. 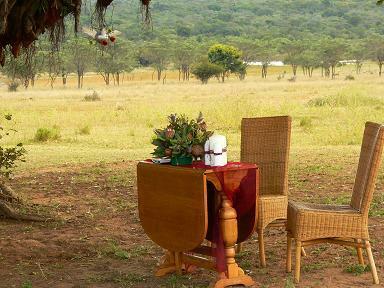 There are game paths and with over 25km of roads on the property, one can enjoy long easy leisurely walks. 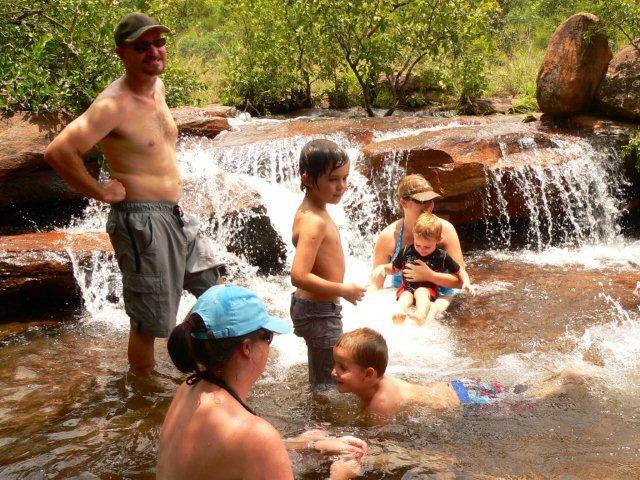 For the more energetic, there is a marked walking trail leading down a scenic kloof, which has waterfalls and rock pools in the rainy season. 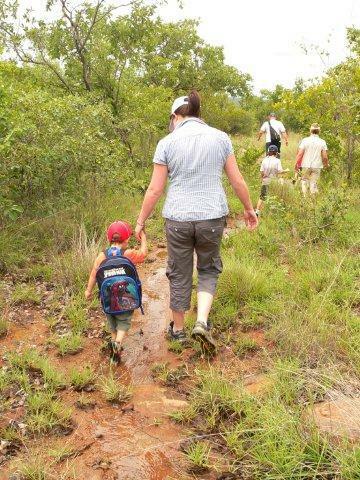 For the less energetic, there is much less strenuous marked footpath that follows the game paths and meanders around the cottages. 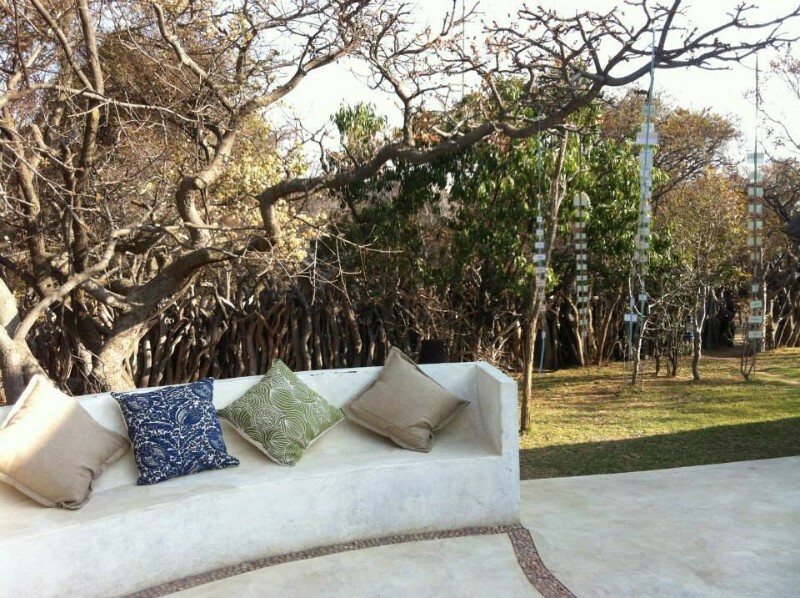 Discover the joy of bird watching with over 200 species recorded in the area. 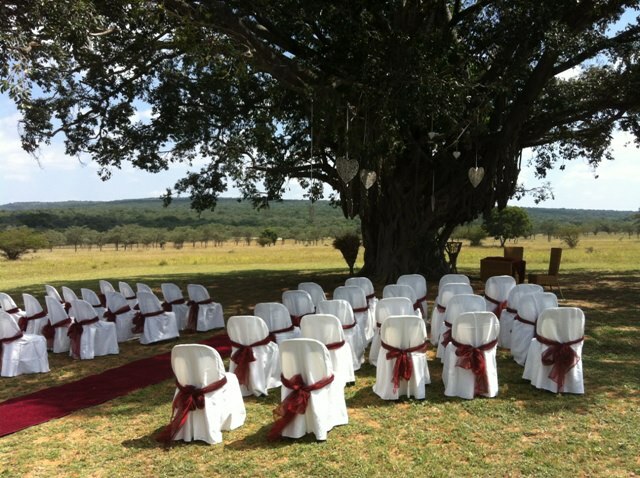 Checklists provided on request. 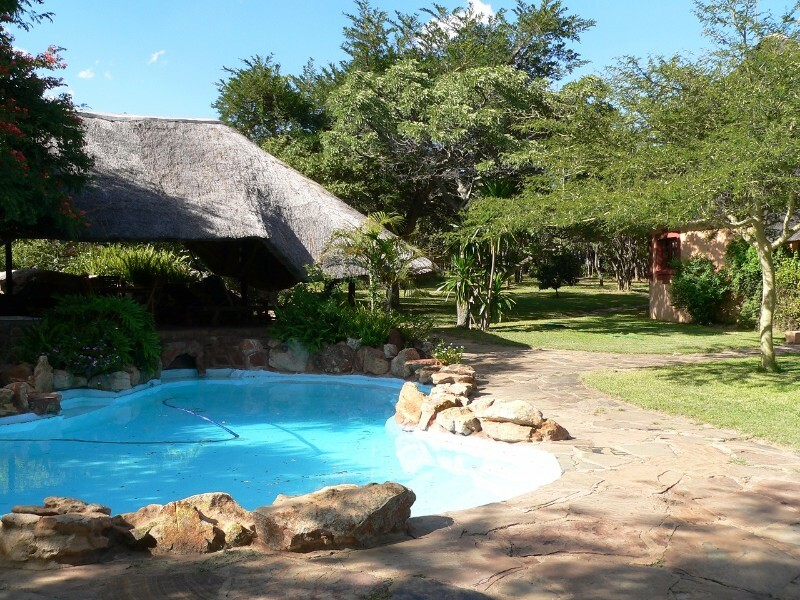 Cool off in the large swimming pool set amongst large boulders with lovely views. 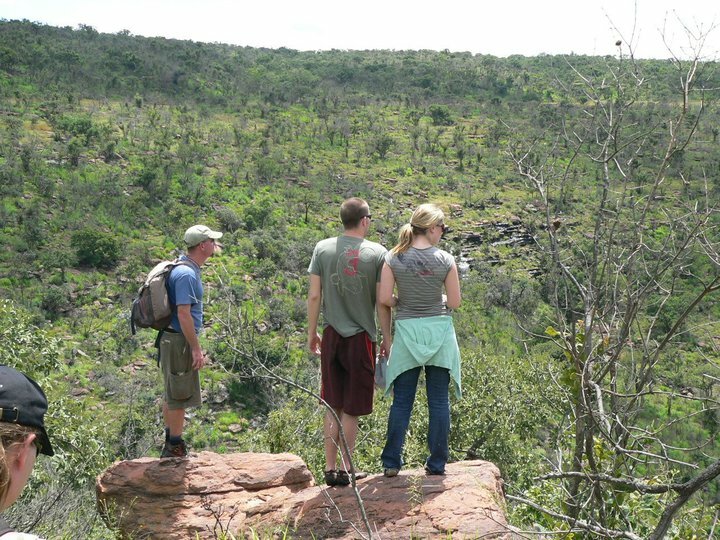 The flora is very diversified due to the variety of habitats. 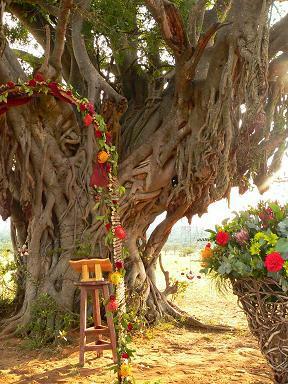 It’s a wonderful hobby to walk about identifying trees and wild flowers with a good reference book. 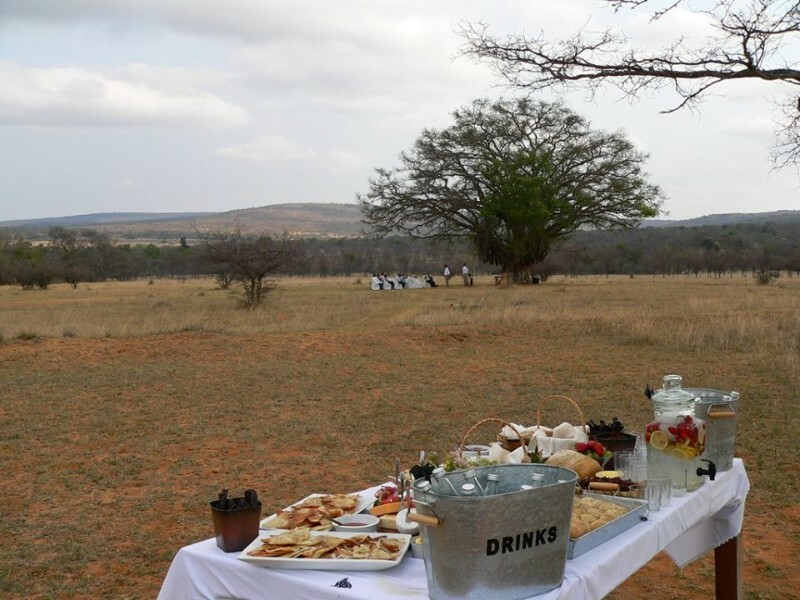 Pack a picnic and enjoy the surroundings at one of our two picnic sites. 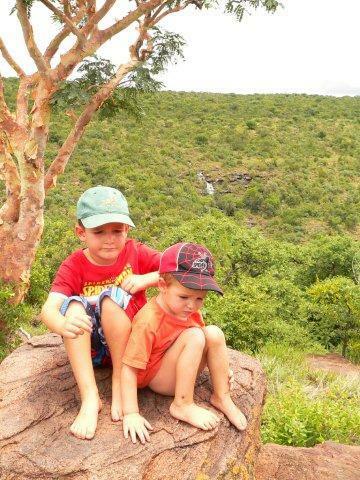 One is situated on the banks of the dam, the other is close to the start of the walking trail with beautiful views. 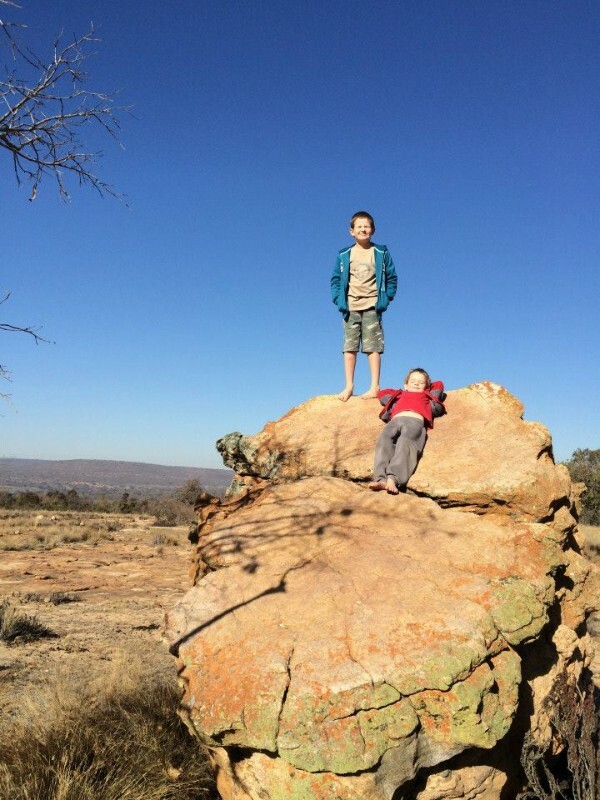 San Rock Art at Masebe Game Reserve, which is approx. 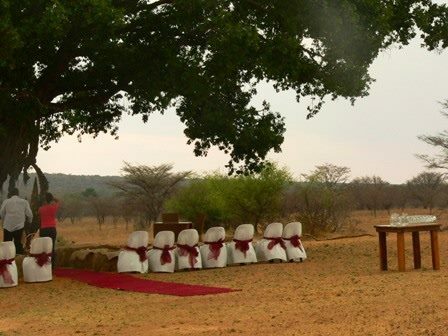 70km away. 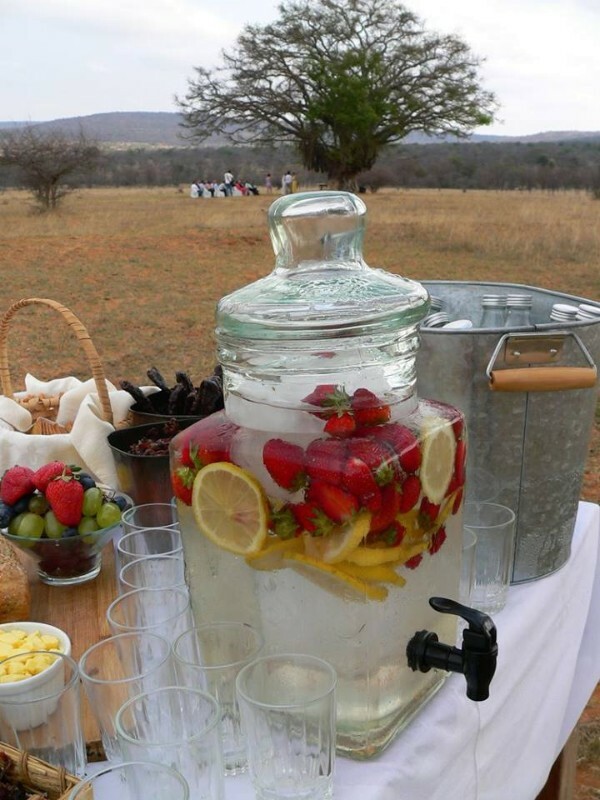 Day visits are accepted. 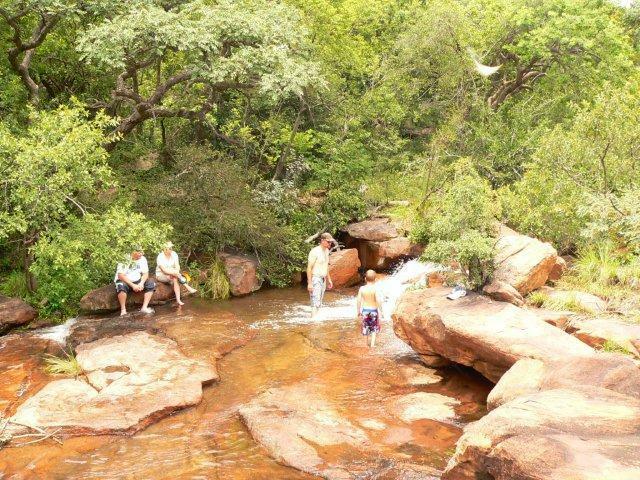 Waterberg Meander, scenic drives in the surrounding area. 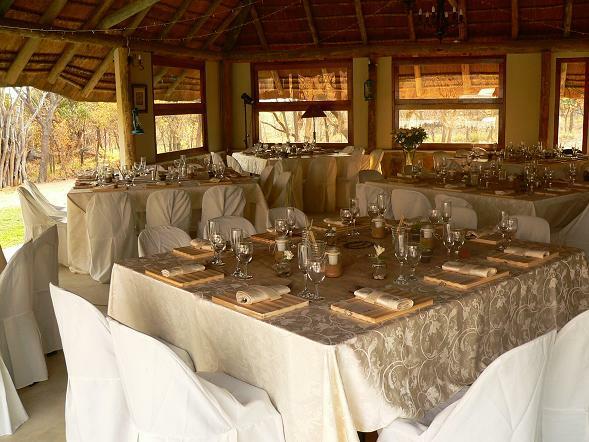 Eventieria, Game auction venue and restaurant, where white lions, tigers, leopards, wild dogs and lots more can be viewed. 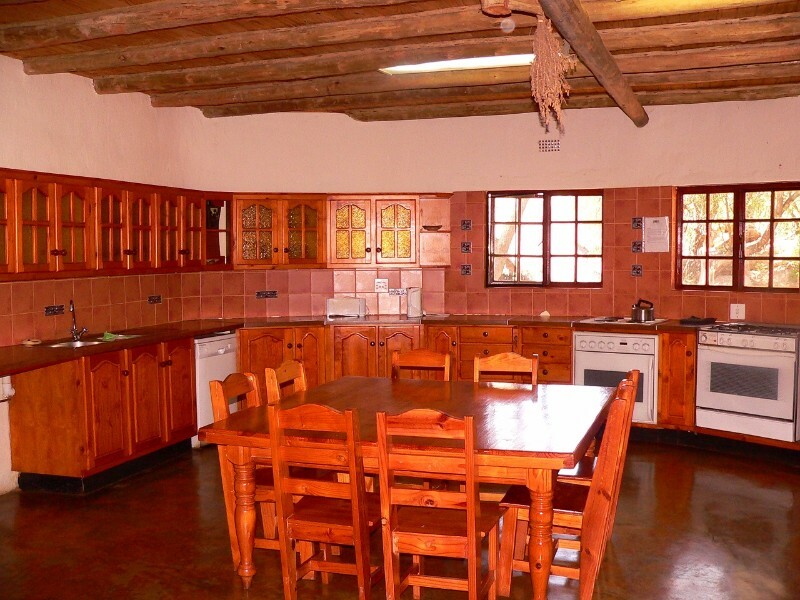 - Three bedrooms are downstairs all with king sized beds and ensuite with full bathrooms. 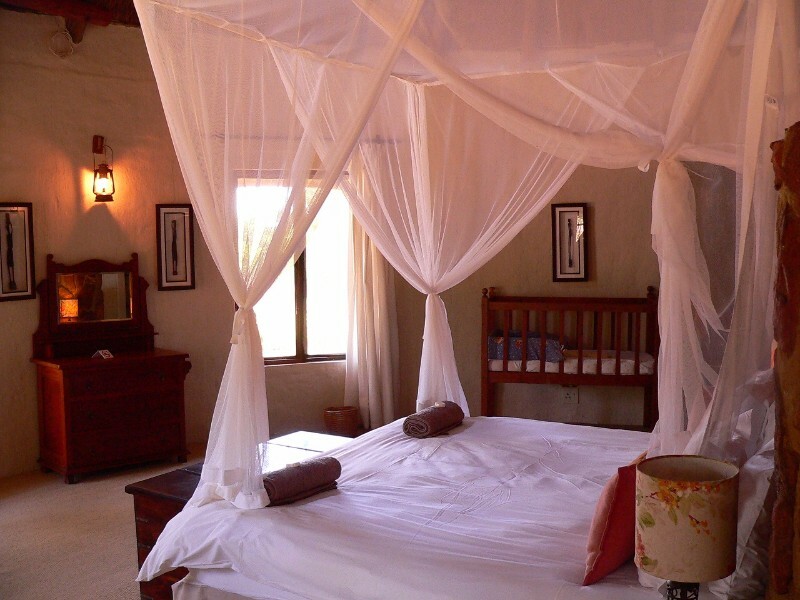 - There is also a ‘loft’ room upstairs with another 2 single beds. 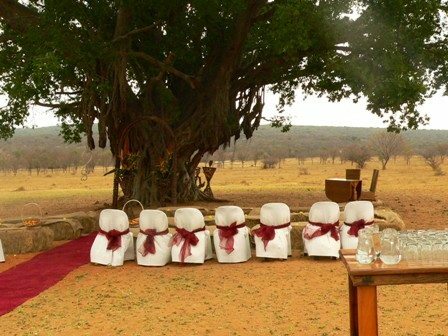 Deposits to be made within 2 working days of confirmation to secure reservation. 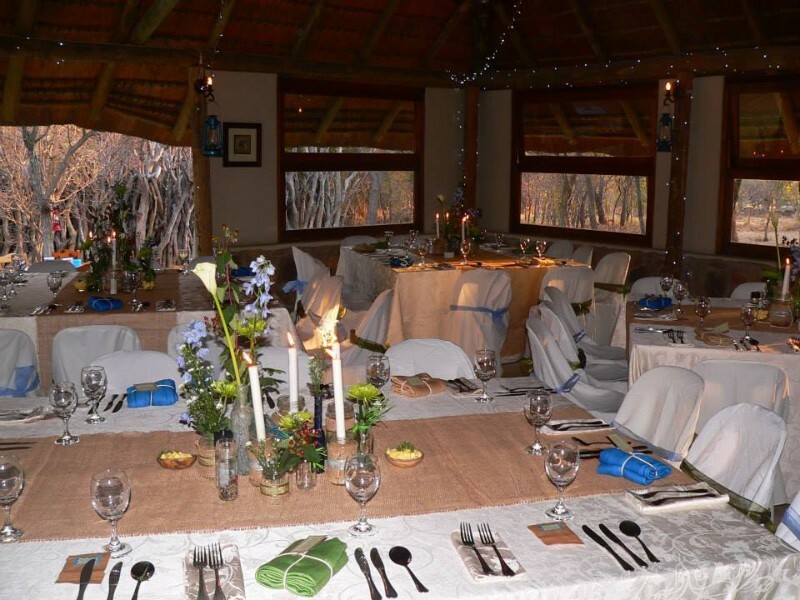 Midweek and weekend bookings: 50% of total booking cost to secure booking, balance payable within 4 weeks prior to arrival. 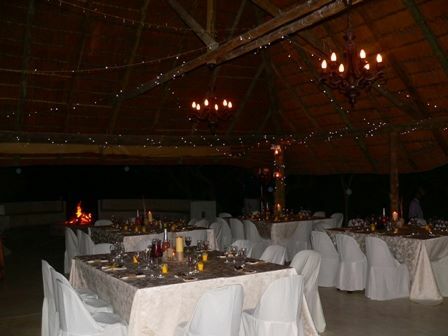 Long weekends, Easter, Christmas and New years: 50% of total booking cost to secure reservation, balance payable 6 weeks prior to arrival before arrival. 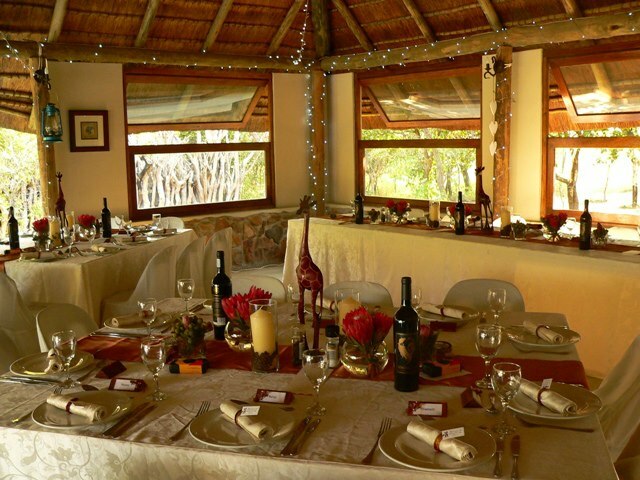 The minimum rate of R6000 per night is for the house , minimum of 3 nights during high season and 4 nights over Easter. 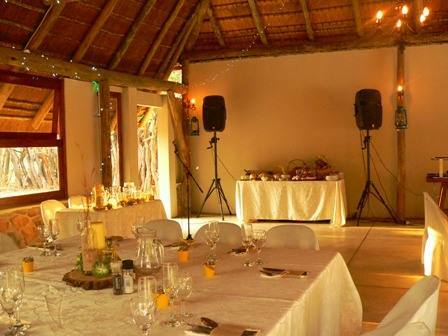 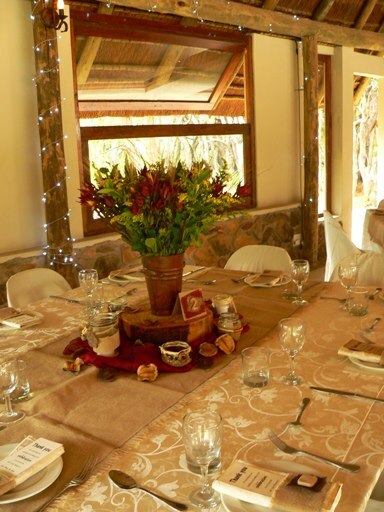 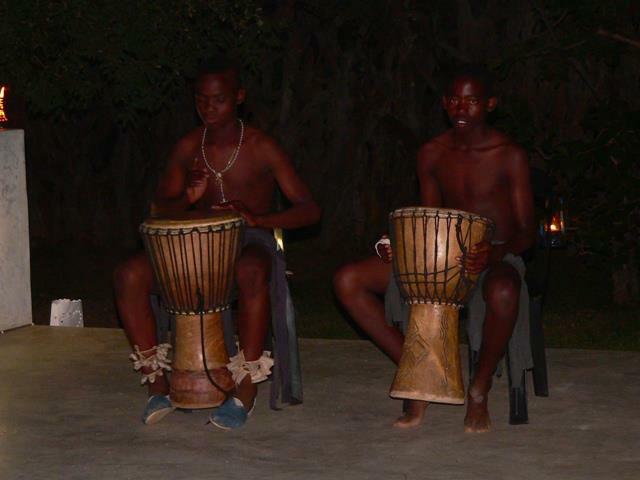 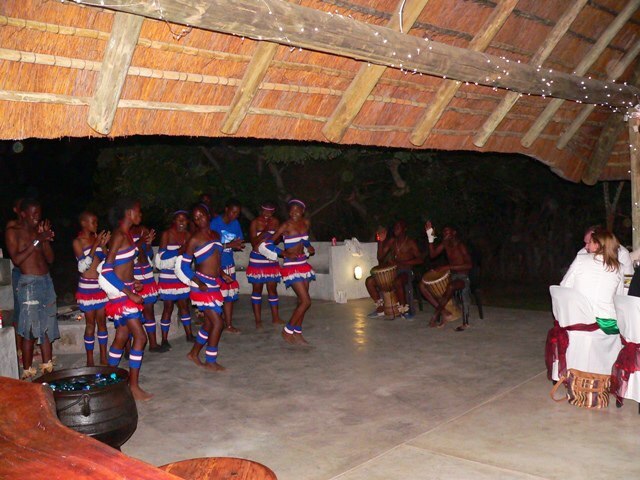 Meals can be enjoyed in the Burkea Boma dining room at R250 per person for dinner and R180 per person for breakfast. 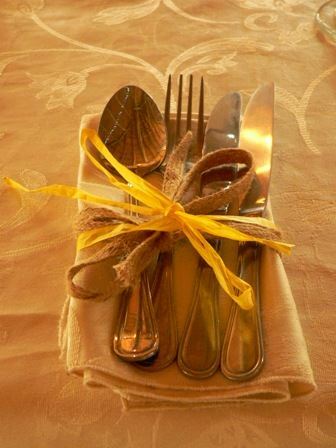 As this is not a restaurant, but a dining room with set meals, these please need to be booked at least one week in advance. 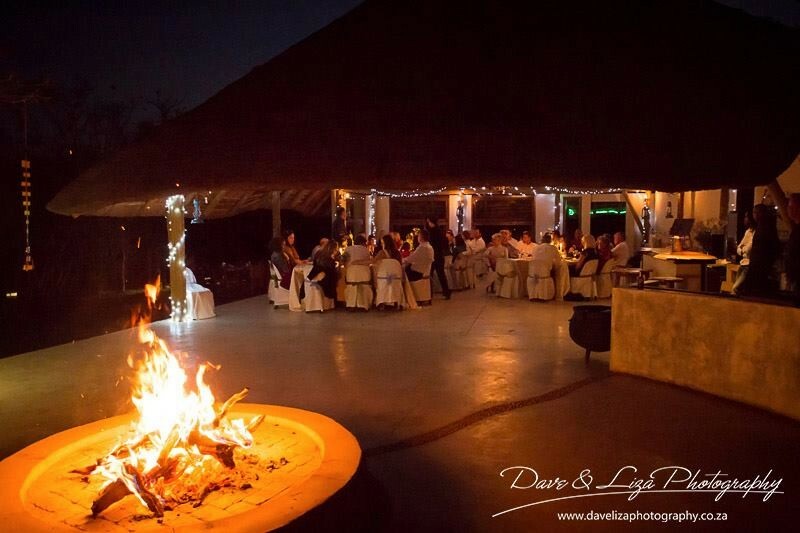 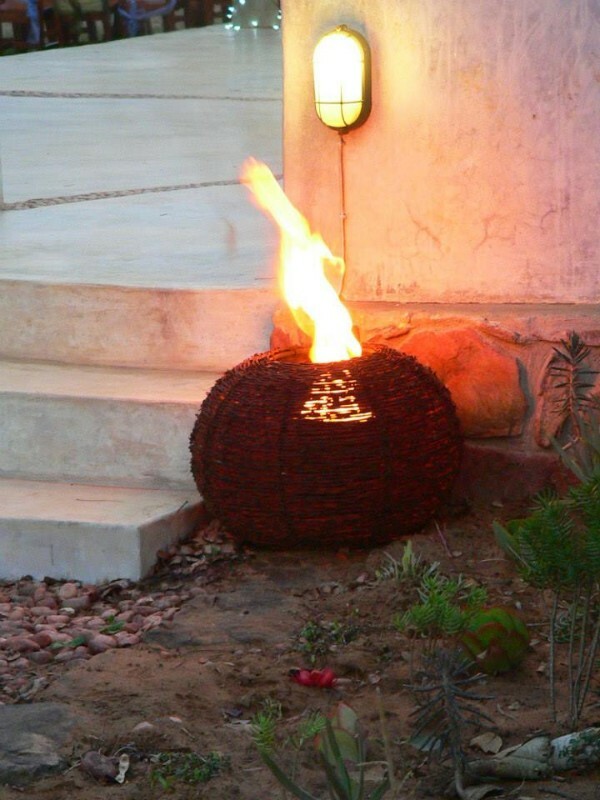 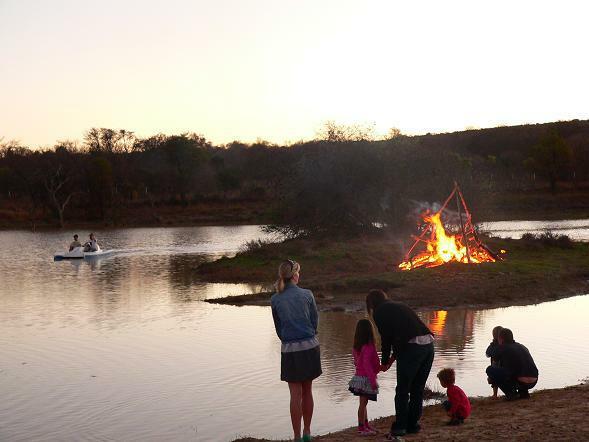 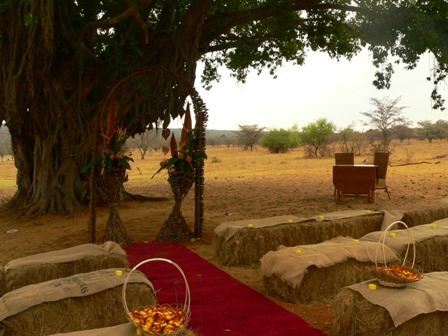 Enjoy 3 course dinners, traditional Bushbraais and poitjies around the raging bonfire under the star filled African sky.